Eminence is a boutique firm with a simple value proposition - building brands and positioning personalities. Mitu Samar speaks to us about the venture and her professional journey so far. I believe that whatever I am today is because of my upbringing and the values that my parents inculcated in me. That forms the core. People, who know me well, will agree that my biggest differentiator is having a rising professional life along with an equally happy personal life. This differentiator keeps me sorted and that reflects in every interaction I have with anybody. I was brought up in a small town for the initial 15 years of my life and then we moved to Mumbai. This presented me a lovely mix of simplicity with focus and ambition and I think that’s how I will loosely define myself. After finishing my Masters in Economics from Mumbai University and subsequently doing a management program from S.P. 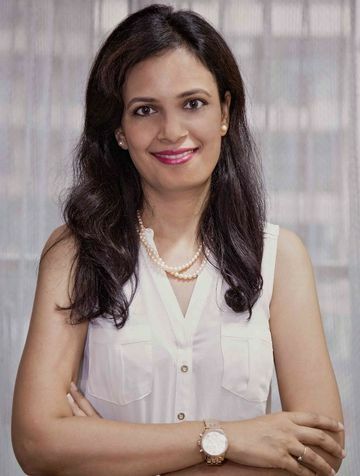 Jain, I worked in various corporates like G E Shipping, ICICI Prudential Mutual Fund, Aditya Birla Financial Services Group, CRISIL and Standard & Poor’s primarily in the branding and communications roles. I came up the rank to be a part of leadership team before deciding to take the entrepreneurial plunge. I am also an independent director on the Boards of Times Group Companies. The Group owns and manages powerful brands across media such as The Times of India, Times Now, The Economic Times etc. This career background positions me as professional who has well-rounded perspective on the functioning of a corporate, both from inside and outside. Hence, it appropriately places me to guide corporates and individuals on their reputation and positioning. In addition to these, I am passionate about gender diversity. In fact, under CII’s unique mentoring initiative called ‘100 hours of change’, I have mentored over 150 girls on how to achieve professional success while ensuring personal satisfaction. Can you tell us a little bit about Eminence? Eminence is a boutique firm with a simple value proposition - building brands and positioning personalities. Simply expressed, we offer services across the branding and communication spectrum that helps a company or an individual rise to eminence. At the core of our offering lies reputation management. Reputation of corporates and individuals both is an outcome of brand experiences different stakeholders like customers, employees, board members, regulators or media have with them. Eminence works closely with the CEOs office or the marketing, communication and HR teams of client companies to help them build or protect their brand positioning. We offer three distinct areas of consulting. First is strategic consulting under which we help established corporates in their external positioning strategy like leveraging digital and traditional media, managing media crisis, enhancing customer experience and loyalty, and also internal positioning through employee engagement initiatives. Second space is that of leadership coaching wherein we work with CEOs and CXOs in building their personal brand, polishing their leadership skills and most importantly support them in stakeholder management. Lastly, we work with Start-ups and SMEs in building their brand and creating visibility. How did the idea of starting this venture come about? It might sound cliché but I always wanted to be an entrepreneur. At the same time, I wanted to ensure financial stability. So I opted to work in a corporate set up initially. After having met my financial goals, and also having developed a robust network as well as subject matter understanding, I decided to take the plunge. With corporate experience of 15 years in communication and branding space, I observed that different teams address different stakeholders to influence the reputation of the organization. However, all of them work independently. For instance the HR team addresses employees as a stakeholder while marketing team reaches out to existing and potential clients, PR team works with media while the legal and secretarial team interact with the regulators or the Board. There is no unifying thread in most cases. Even for individual reputation, holistic approach is missing. This is the gap that I identified and went ahead to bridge it through Eminence. How long has it been since you started off and what were some of the most challenging experiences? It’s been about a year and half. We are a small team that has executed some marque projects and have an interesting client roaster ranging from unknown names to established brands. According to Harvard Business Review, over 80% of global start-ups fail in the first 18 months, and in India this figure is close to 90%. I am happy that Eminence has successfully survived the 18 months and is going strong everyday. A journey is not exciting without challenges and even my entrepreneurial run is not devoid of them. What helped me though is regular guidance from my mentors and friends. Two specific advices from one of my mentors stayed with me and helped me wade through challenges – First one being ‘do not take rejections personally’. He said, “so far you have worked with prominent brands in the country and those brand backings give your business cards entry everywhere. However, when you will set up a new company, there will be no brand back up and the same people, who would chase you for business in your corporate role, may not even pick my call.” Fortunately, I did not face too many rejections but yes being prepared helped. Secondly he said ‘don’t make a plan B’. You have to succeed come what may. If you will have plan B, you will feel tempted to move away from challenges and that should never be a choice. Both these advices helped me immensely to make this entrepreneurial ride worthwhile. There is no typical day. Actually monotony bores me and that is one of the main reasons why I did not want to do a full time job. Entrepreneurship gives me opportunity that I can work on so many more assignments, experience different industries, meet variety of people (from CEOs of large corporates to 25 year old Start Up Heroes or SHEroes) and still have time to enjoy activities that I like be it travel, dance, catchup with friends, or outings with family. Everyday is different and that’s what makes the journey exciting. When it comes to personal branding, what would you tell new and upcoming women entrepreneurs? For entrepreneurs, men or women alike, it is important to work on their personal brand. Particularly for stakeholder management, which is what takes maximum time and effort as an entrepreneur, having a personal brand goes a long way. However, specific to women entrepreneurs, I think the most important aspect of personal branding is to be visible. Having a personal brand but no one knowing about it is no good. Networking is essential, which most of the women shy away from. When I say networking I do not mean increasing contact list in phonebook or wining and dining aimlessly. Instead it is about building relationships. Leave imprint of your experience with people. They will remember you. A few thoughts you would like to leave our readers with? We often believe that we are responsible for our success. However, in reality there is a whole ecosystem that works behind to help us succeed. Acknowledging this basic fact and remaining humble is critical for sustained success. Harness an attitude of gratitude.